Fungi are nature’s great recyclers, they break down organic waste like wood, straw and coffee grounds to recycle the nutrients, into mushrooms, some of which are edible. 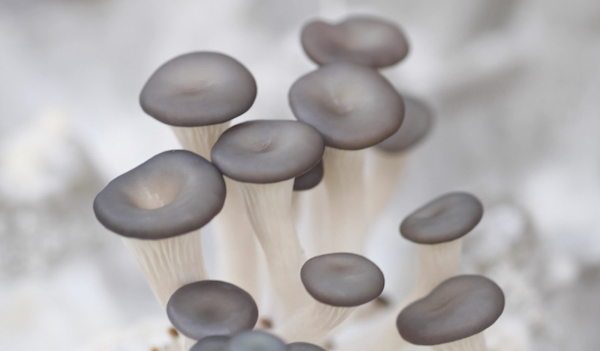 We’re growing two types of edible mushroom Oyster and Shiitake. Oyster mushrooms are widely consumed around the globe. At FarmLab we have been growing Pink and Yellow Oysters on Straw and Blue-grey oysters on coffee grounds. 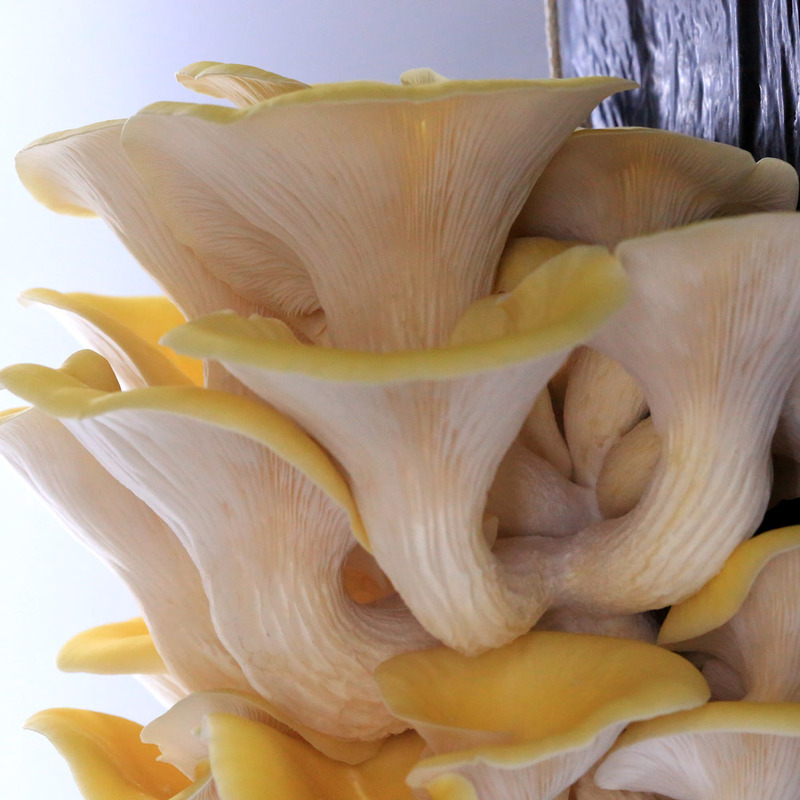 Yellow Oyster mushrooms are native to eastern Russia, northern China and Japan. 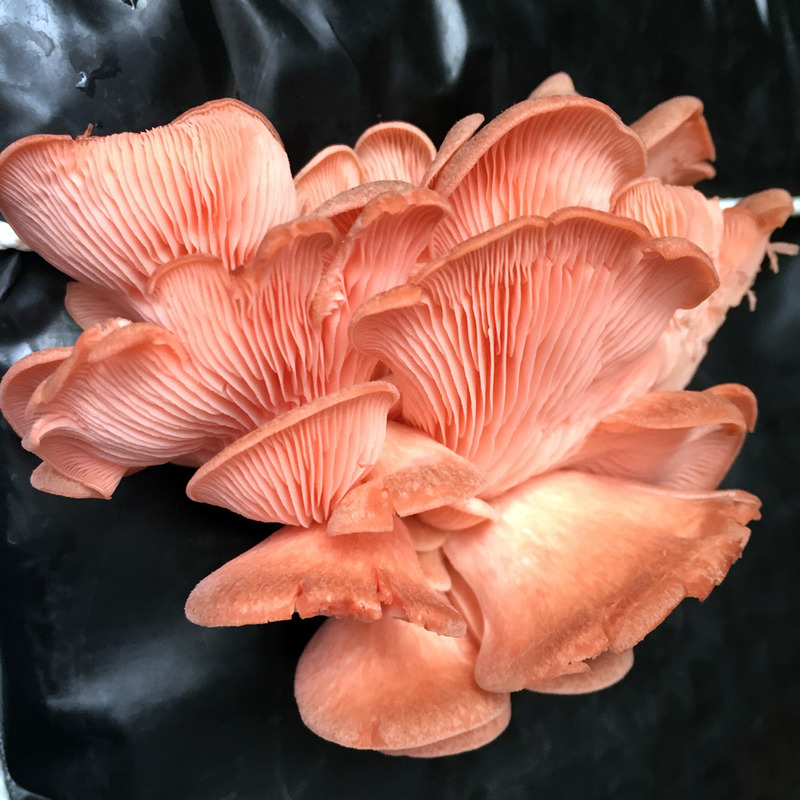 Pink Oyster mushrooms are native to the tropics and fruits in warm temperatures. Blue oysters are native to Western Europe in cooler temperatures.